ratatoullie | Can Men Cook? OK – not me – my Brother In Law, Vic. His absolute favourite is a full on Roast Dinner. We had it last night at Vic’s Sister In Law. It was all rather splendid. Far too much in the way of wine and beer (still some lovely local IPA from rebellion brewery in Marlow left over). And the pork – stunning crackling (loads of salt and dried beforehand – makes all the difference). Clever bit of chilli in the ratatoullie, which was a bit of a shock, but a nice one. 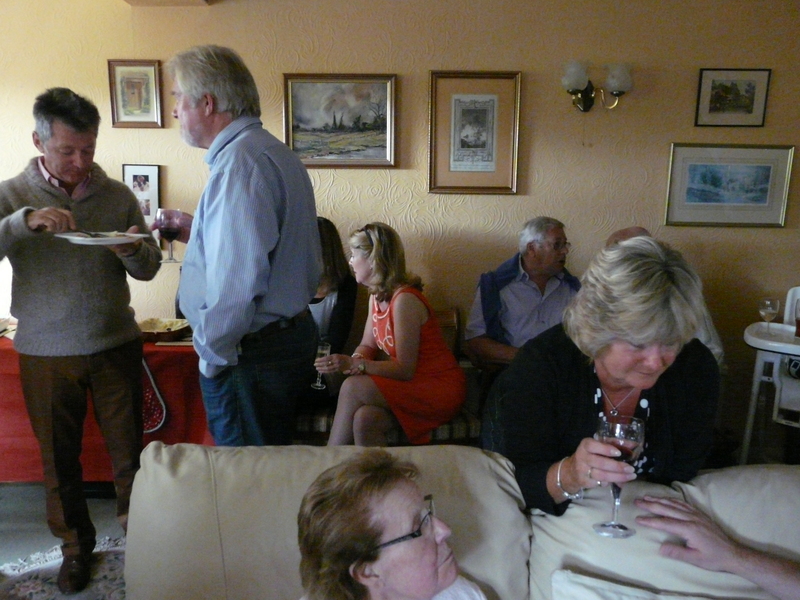 All the other bits – roast potatoes, carrots and beans, apple sauce, lashings of gravy, were there too. And then we had a proper pudding – Bakewell Tart. I know there is no real need for pouring cream all over this too – but hey, it was a birthday party. Great pressies, a bit of a quite moved Vic (Sue, his wife, had put together a lovely photo collage), and then the wine helping us sort the world out. What’s more to want? What would you choose for a special birthday? I know Jay (see previous guest blog) really did want a great steak with boiled potatoes as the core of his meal – and managed to both cook it and eat it outside as he prefers. Not sure for me. Probably Scallops followed by Beef Stroganoff. But the company would be more important.